Bill Wolfe, director of NJ Public Employees for Environmental Responsibility, said the institute’s maximum contaminant levels would serve a larger purpose, requiring routine tests by water purveyors throughout the state. “What DEP is proposing is really only going to apply to Solvay,” he said of the groundwater criterion. The Spotlight story shows why the Drinking Water Quality Institute (DWQI) and DEP must expedite proposal of drinking water “MCL’s” for these compounds. But, at a meeting of the Water Supply Advisory Council last week, when this issue was briefed, Fred Sickels, head of the DEP Drinking Water programs, stated that the DWQI Treatment subcommittee had not met yet. In contrast, Sickels noted that the Health effects subcommittee had already met. Larry Ragonese, a spokesman for the DEP, said the levels of PFNA detected “could be troubling” but said filtration technologies are available to remove the chemical from water supplies. “It’s a very solvable situation,” he said. So, despite the urgency of this new data and all the hoopla back in April about DEP Commissioner Martin directing the DWQI to develop MCLs for these compounds, 2 months later, it sure seems like DEP is slow walking the MCL development process. I wrote a followup post about that meeting in this post, in which I emphasized there need to accelerate MCLs and install treatment for PFC’s and hundreds of other chemicals detected in NJ’s water supplies. Once adopted as MCL regulatory standards, public water supply systems would be required to test for and treat them. Additionally, the Private Well Testing Act would be triggered, and testing of individual wells would occur when property is sold. This would allow the public and homeowners with wells to know if their water is contaminated or not and take precautions. Company spokesman David Klucsik declined to specify the levels of perfluornonanoic acid (PFNA), one of the PFC family of chemicals, detected in the seven wells. Nor would he say if any of them exceeded the 0.02 parts per billion (ppb) concentration proposed by the New Jersey Department of Environmental Protection as the upper limit for safe consumption. 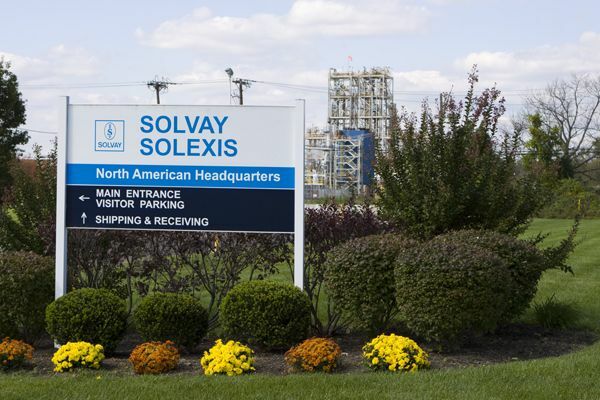 Solvay should not be in charge of this sampling study – they should be required to fund it, but the sampling work should be conducted by the DEP and all data publicly disclosed. DEP needs to take the lead in this effort and expedite – not slow walk – the adoption of MCL’s and treatment requirements. Sitting on the front porch just now, just after sunset, and had a flashback . Will NJ reporters hold DEP accountable? … what neither the residents of Roxbury nor SEP knew was that state DEP biological monitoring data showed that the two streams running around the landfill were impaired. This Stressor Indicator report is based on sampling studies from 2009-2010 showing the deleterious impacts on aquatic life in the Drakes Brook watershed from Fenimore. At the center of the controversy is a New Jersey Dept. of Environmental Protection report that has not yet been made public. Critics allege that NJDEP has delayed its release because the document may show that materials from the landfill impaired water quality in local streams. The agency contends that when the report comes out next month, it will not show any significant and lasting damage to the watershed from the landfill. Wolfe says biological monitoring data shows that two streams running around the landfill were impaired. Had that information been made public, the Fenimore never would have received a re-opening permit from the DEP, the site would not have been declared a brownfield site, and the solar project would not have gone forward, Wolfe alleges. The report that includes the biological monitoring data from 2010 “is not a draft—it is being withheld because its findings are deeply embarrassing to the Christie people,” he says. Ragonese denies that the draft report shows anything abnormal, and adds that the final report—part of a routine watershed analysis—will be released in coming weeks. Also this summer, NJDEP plans to put out a request for proposals to cap the site, and begin work on closing the landfill before the end of the year. DEP is flat out lying here. It is very easy, based on published DEP documents – even without the specific “Drake’s Brook Stressor Indicator Report” that DEP is withholding – to demonstrate that DEP is lying when they claim that: 1) Drake’s Brook is not impaired, 2) that the Fenimore landfill is not a contributor to the impairment, and 3) that the Stressor study was part of “routine watershed monitoring”. According to DEP’s own 2012 Clean Water Act Section 303(d) Impaired Waters” list, Drakes Brook is listed as “impaired” for 19.5 miles above Eyland Avenue, Roxbury. The excerpt from the DEP 2012 “Section 303(d) “Impaired Waters List” with respect to Drakes Brook is provided at the top of this post to make it even easier to see the DEP lies. More detailed “assessment unit” specific information on Drake’s Brook impairment is provided in this DEP document, which shows “non attainment” (impairment) for aquatic life – trout designated uses. DEP’s subsequent “Stressor Indicator Strategy” shows Fenimore landfill and an impaired Drakes Brook. (in that document, DEP noted and photographed the same multiple landfill “leachate seeps” that I did). Contrary to what DEP press office states, Impairment is “abnormal”. Contrary to what the DEP press office states, a “Stressor Indicator Report” is not a “routine watershed analysis”. NJDEP also conducts targeted physical, chemical and biological water monitoring for needs such as further evaluation of waters previously listed as impaired on NJ’s Impaired Waterbodies List, TMDL development/implementation, and in response to environmental spills. See DEP’s own “New Jersey’s Water Quality Monitoring and Assessment Strategy: 2005 – 2014” for a detailed discussion of those issues. Exposing DEP lies is like shooting fish in a barrel. We will be prepared to discuss these issues when DEP finally releases the Drake’s Brook Report. At this point, we are concerned that DEP will edit the original Report or spin the findings like they have in the ENR comments. We will be watching this closely and will keep you posted. Let’s hope that the journalists covering this issue are equally diligent and skeptically scrutinize DEP claims in light of evidence – including the evidence above. As I’ve written, the Dupont corporation has petitioned US EPA Region 2 to amend their RCRA Corrective Action cleanup permit at the Pompton Lakes site to raise the vapor intrusion screening levels. The Dupont request is pending EPA decision. If Dupont were smart, they would withdraw the request and apologize and move on. If Dupont does not withdraw the request, EPA will have to make a hugely controversial decision – EPA can’t duck. It’s a “which side are you on” “the whole world is watching” kind of moment. Something’s gotta give. That Dupont request would weaken health protections for the people of Pompton Lakes and is strongly opposed by the community. As reported, angry residents have written to US EPA Regional Administrator Judith Enck to oppose the Dupont request. EPA has replied. Sort of. I was just sent Enck’s reply, sent to residents via a June 26 email from a low level EPA R2 staffer. Is Regional Administrator Enck ducking the decision? Notice how EPA fails to accurately state the controlling law governing “Dupont’s draft 2014 vapor intrusion work plan”. Note how EPA points the bureaucratic finger and seeks to share responsibility with NJ DEP, as if this were a Committee decision and no one is in charge. But more importantly, notice the arrogance in how “any changes” “will be communicated to the community” – what? Will Dupont send a courier pigeon? 9) We are very concerned that EPA is misleading the public by not advising the public about the legal requirements under RCRA outlined above. 10) Obfuscation and misleading statements are totally unacceptable and we demand better. Investigative Journalist IF Stone once said that to understand a Government document, read it from back to front because they hide all the good stuff at the end. Well, if you go to literally the final page of the Dodge/NJ Future/Rutgers/Duke Report, you will find the only – albeit weak-kneed – criticism of the Christie Administration and specific regulatory policies. And that criticism is couched as coming from Stakeholders, not the authors of the Report themselves. They similarly hide the new funding recommendations behind a Blue Ribbon panel. And the regulatory recommendations lack specificity and are disengaged from current regulatory policy and practice. Broad, bland, vague, process oriented Reports (let’s form a new Committee stacked with our friends!) that lack focused accountability on policy is the LAST thing we need right now.